Every Friday, Indiewire’s Springboard column profiles an up-and-comer in the indie world who made a mark that deserves your attention. “Rich Hill,” the documentary film that took home the U.S. Grand Jury Prize: Documentary Award at Sundance earlier this year, is a profound and devastating feature that looks at the lives of three poverty-stricken kids in the rural town of Rich Hill, Missouri. Directed by cousins Andrew Droz Palermo and Tracy Droz Tragos, the documentary is well on its way to becoming one of this year’s most powerful films. Nevertheless, it would be difficult not to attribute much of its power to composer Nathan Halpern’s bone-chilling score. In the case of “Rich Hill,” [I came onto the project] very very close to the end when they had a final cut of the film. This is unique too because people don’t always do this, although, I think we always should. Before I had written any music at all, we looked at where the relationship was going to be between the sound design, the sound and music, which would be taking parts and various scenes and seeing what their interplay would be. There’s two parts to the process. There’s the composer or musician side, and that for me is the most intuitive, instinctive part of it. You are just responding to something emotionally and it’s very personal. And then the other side of it is looking at the film as a dramatist and figuring how you’ll be using themes and what the structure of the music will be. In “Rich Hill,” it’s a unique kind of structure. 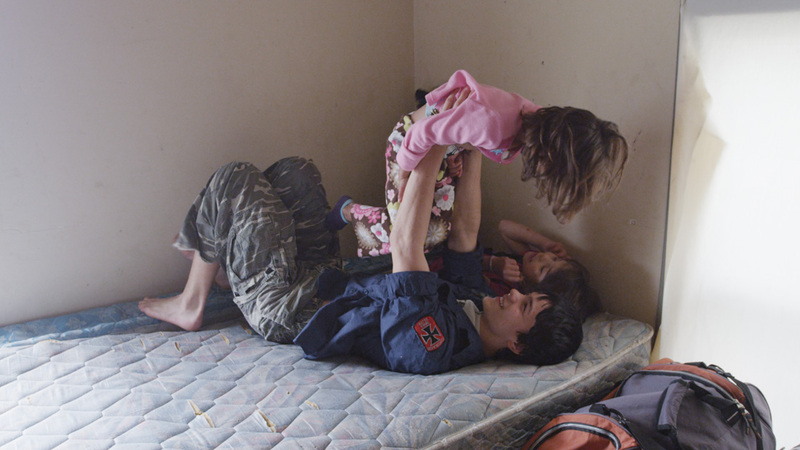 They are all in “Rich Hill,” but these three kids, they are all there, but they never meet. Their separation, their distinctness is already there in the edit. So, in fact, what you what wind up doing here is because the question of point of view is so important. The themes are emotional and they get passed off between the boys, sort of motifs and themes that deal with either moments of loneliness, or love for a child to the parent or vice versa. I think it’s that first reaction that you kind of have to respond to. I always remember as a teenager being very musically sensitive to or responsive to film. Being a teenager and seeing “The Night of the Hunter” and “Rosemary’s Baby.”I remember these two, I don’t know why these two in particular come to mind, but I remember seeing those and immediately going and writing a piece of music without thinking about it. And Atom Egoyan, “The Adjuster” for some reason. I felt–don’t ask me why–an instinctive, emotional thing at that point. For something like “Rich Hill,” it’s important to avoid in the music anything that is superficial or on the surface that would be redundant with what we are already seeing. What are the kind of universal aspects in these stories? Not everybody lives in Rich Hill or a town like Rich Hill, but certainly in the boys’ stories and in terms of the film, which in so many cases favors their point of view, there are a lot of aspects of their experience with things that are not universal. what I dialed into when writing the music. I made a promise to myself that I would really make a point of not watching movies for music. But honestly, I only began writing music for film a few years ago. As a kid, I always loved film very much. It was incredibly important to me. And I always played and recorded music and that also was very important to me. But, I honestly did not pay all that much attention to film music until much later and it didn’t occur to me until much later to write music for film. Now it seems obvious, but for some reason I didn’t make that connection.